Glass Candles are elegant and efficient, long lasting & virtually smokeless when used with our premium odorless Paraffin Lamp Oil. NOTE: For MAXIMUM Burn Time Expose the LEAST Amount of Wick as possible. Flame will also diminish slightly as more and more oil is burned. Glass Candles include Long-lasting Braided Fiberglass Wicks with Removable Wick Holders for Easier Filling. 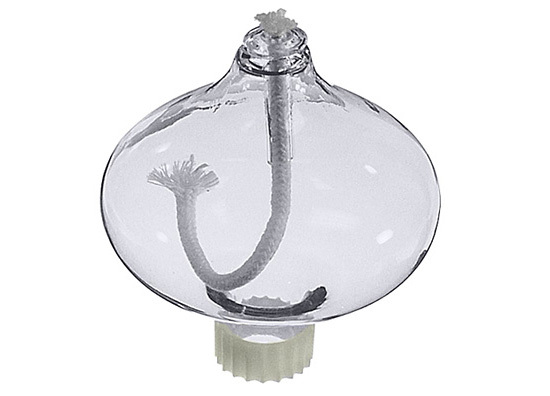 Our MICRO FUNNEL makes it easy to fill all sorts of Oil Candles. Click link on bottom of page to see and buy. Glass Oil Candle with Teardrop with Dimples. 2-3/4" dia. x 4-1/4" high, plus 1"L x 3/4" dia. peg & rubber gasket for snug fit. Braided cotton wick. Individually boxed. Burns Up To 25 Hrs. Glass Oil Candle with Onion Shape. 3" dia. x 3-1/4" high plus 5/8"L x 3/4" dia. peg & rubber gasket for snug fit. Individually boxed. Burns Up To 15 Hrs. Glass Oil Candle with Round Shape. 2-3/4" dia. x 2-1/2"H plus approx. 1-1/2"L tapered glass Peg. Long-lasting braided fiberglass wick. Individually boxed. Burns Up To 35 Hrs. Glass Oil Candle with Teardrop Shape. 2-1/4" dia. x 4"H plus approx. 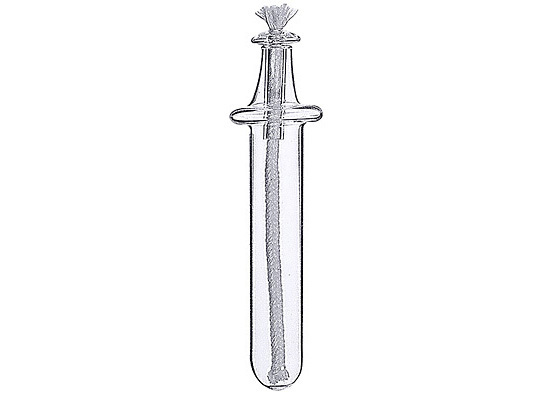 1-1/2"L tapered glass peg. Individually boxed. Burns Up To 25 Hrs. Oil Candle Insert is 4-1/4"L overall x 5/8" dia. Has 1" dia. flange. Needs minimum depth of 3-1/4". Braided cotton wick. Pkg/3. Burns Up To 1-1/2 Hrs. Oil Candle Insert with Spiral Design. 6-1/2"L Overall x 5/8" dia. Long-lasting braided fiberglass wick. Insert needs minimum depth of 5-3/4". Bottle not included. Pkg/2. Burns Up To 3-1/2 Hr. 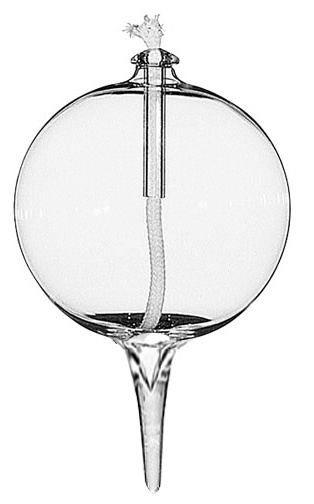 Combines Spiral Glass Candle 393-497-02 with Flame Protector 700-472-07 for your convenience. Long-lasting braided fiberglass wick. 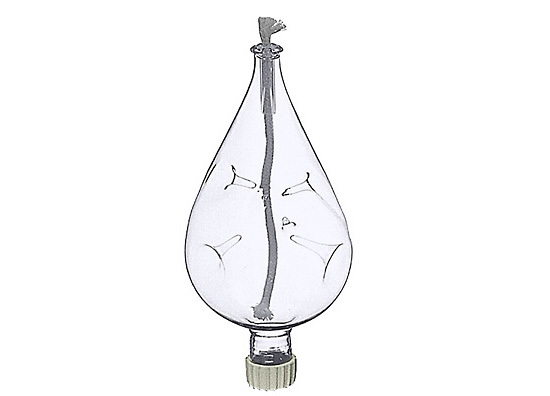 Glass Flame Protector for BOTTLE LAMPS. Use with Oil Candle Inserts, Wick Holders or Wax Candles. 5-5/8" High. Fits Bottle Necks Up To About 1-1/8" O.D.